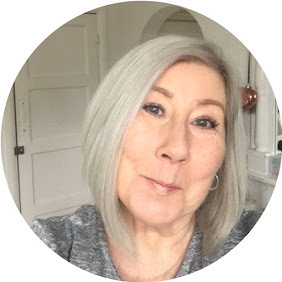 If you are a regular reader of this blog you will know by now how much I love metallic lip products, probably a throw back from my frosted lipstick days of old, yep, showing my age there ! I did a post back in October last year comparing a few which you can read here I do have a teeny bit of a confession and say that I have wanted to try Makeup Revolution Lip Kits from the very first time they hit the market, and even discussed them with Brand Owner Adam Minto prior to their launch, I didn't.....yes shame on me, the reason being ( trying to defend myself here ) is that I am fortunate enough to be sent a LOT of products to try out, and as such I very rarely get round to actually buying anything, I do, but it's usually something skincare so a lot of makeup trends just kind of go to the wayside, which is annoying. Moving on, my little granddaughter who is 14 is literally obsessed with all things new in the makeup area and bought me this knowing that I had wanted it for the longest time, but our local Superdrug didn't stock them. I LOVE IT !!!!!!! I can honestly say it is one of, if not the best liquid lip I have tried so far, it doesn't dry as I expected, therefore it didn't crack and go crusty looking and yet it lasted !! and lasted and lasted, to the point I removed it with eye make up remover at night, having applied it late afternoon, the kit comes complete with a beautiful shimmering lip pencil in a complimentary shade, which I am going to try wearing alone, as I'm sure you could, the two together are nothing less than marvellous. Now I need to get my paws on the other shades, thank you Mya I am a very happy Nanny.